As a professor of music education, cooperating teachers often ask me for a rationale about including multiple activities, each with a specific learning objective, into a single music class. Pressure from the Principal is most-often cited for this request. Math, Science, History, and Language Arts teachers generally plan with one learning objective per class meeting, so why not Music educators? While we are educating students in the 21st century, our education system is still based on a 19th century model. Just because we have always taught in a certain way does not mean we should keep teaching this way for all classes if the template does not fit correctly. 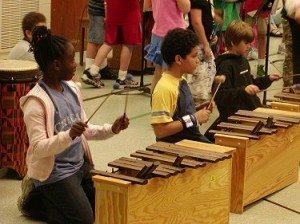 Elementary school must be the place for the laying of musical foundations through hands-on learning experiences to develop singing, reading, and musical hearing to the highest level. The development of these musicianship skills happens only through sustained effort. Zoltán Kodály cautions that one of the chief causes of failure in school music teaching is the complications of rhythm and pitch that suddenly confuse unprepared children (Kodály). Keeping this in mind, current music educators must teach through a systematic, developmentally appropriate approach to lead children to music literacy. 1) “We all need to continue to remind school leaders that if they are going to push for innovation in school curricula, they need to put their trust into the arts to fulfill that mission (Mazzocchi).” Music is different than other courses and must be treated as such. While, admittedly, it is easier for everything to be the same, the reality is – life doesn’t work this way. All good teaching does not fit into a one-size-fits-all model, nor should it be expected to do so. Expressive Elements: dynamics, phrasing, tempo, articulation, etc. In most elementary schools, Language Arts and Math are taught daily; time is built in each day for review of previous instruction before applying it to the next learning objective. To point out the obvious, this review is based on the learning from the previous day. Music instruction, on the other hand, is generally taught once or twice a week/6-day cycle. It is for this reason that multiple learning objectives must be spread out across time because the review of – and building upon – knowledge is based on learning from the previous week. 5) Rather than drudgery of a single song performed for 30-45 minutes, “every lesson should be built in such a way that at its end the child should feel his strength increased rather than any sense of tiredness: moreover, he should look forward to the next (Kodály).” By planning multiple learning activities within the course of a lesson, the teacher can prescribe restful fun periods of activity woven between strenuous mental activities. By keeping each activity short, the students do not get tired of any one song or piece of music but, rather, wish to revisit them in future classes. Hegyi, Erzsébet. Solfege According to the Kodály-Concept, vol. I. Editio Musica, 1975. Kodály, Zoltán. The Selected Writings of Zoltán Kodály. Boosey & Hawkes, 1974. Orff, Carl. Carl Orff – Wikiquote, en.wikiquote.org/wiki/Carl_Orff as quoted in “The Orff Process” (4 July 1997) by Deborah Jeter, page update 16 Jan. 2018, retrieved 16 Jan. 2018. Mazzocchi, Anthony. “The Truth About Why Music Is Cut from Schools (and What We Can Do About It).” The Music Parents’ Guide, Wordpress, 28 Aug. 2015, retrieved 16 Jan. 2018. Georgia A. Newlin, DMA is an Associate Professor of Music at Adelphi University, is Past President of the Organization of American Kodály Educators and is a member of The VoiceCare Network. 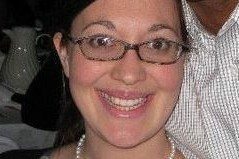 She has taught in early childhood and public school music positions for fifteen years and at the collegiate level for thirteen. Georgia is called upon as a conductor for choral festivals, as a clinician for choral workshops & reading sessions, and intermediate grade methodology. She teaches musicianship, conducting, and ensemble in Kodály programs at Indiana University, University of Hawai’i, and James Madison University. She is published by Music Is Elementary (One Accord: Developing Part-Singing Skills in School-Age Musicians; The Crooked River Choral Project) and by Colla Voce (“Es ist ein Ros’ ‘entsprungen” in the Ruth Dwyer Choral Series). Thanks, Georgia! Amen to your wonderful thoughts and research! Articulate ammunition in (re) educating the administration about the intricacies of teaching music in the school setting. Thanks for this! So helpful to have academic language and cited resources to bring to our administrators! Wonderful article! This comment came up yesterday during an observation of why I have so many activities. I’ll just hand them your rationale from now on. Thank you! Thank you for this article. I think it is imperative in the current educational strands of teaching styles and philosophies that how we teach music to an elementary student in very little contact and teaching time is understood by those who do not have as much experience in it as we do. Your quotes are well used and helpful in explaining the processes that may differ from a general ed classroom that administrators are used to evaluating, whether they are using a Danielson model or other evaluative tool systems in the music classroom. Our results are often shown over a period of time, not within a short two or three week unit of study. Someone was just asking me about how they might justify multiple lesson objectives in one class to their principal. I will make sure she reads this. Thank you so very much. I struggled with this as a beginning teacher back in the 80’s when my school trained me and judged my teaching on whether I stuck to only 1 concept per class. Once I figured out that approach doesn’t work, that I needed to focus on many different outcomes a little at time each lesson, my student’s improved dramatically. Thank you thank you for putting into words my experience. Do you have an idea to share?